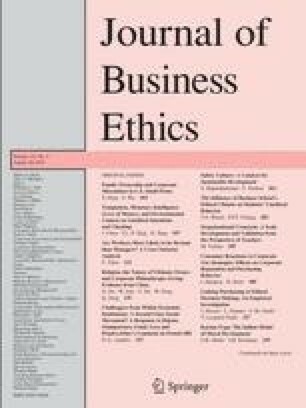 In a recent comment made about my paper “A Social Movement Perspective on Finance: How Socially Responsible Investment Mattered” (J Bus Ethics 92:57–78, 2010), published in this journal, Déjean, Giamporcaro, Gond, Leca and Penalva-Icher (J Bus Ethics 112:205–212, 2013) strongly criticize the social movement perspective adopted on French SRI. They both contest the empirical analysis of the movement and the possibility for insiders to trigger institutional change towards sustainability. This answer aims to address the different concerns raised throughout their comment and illuminate the differences between both approaches. It first explains why SRI in France can be considered as a social movement, despite not being protest-oriented. It then reflects on the dangers of systematically associating societal change with radical activism. It concludes by elaborating on the importance of acknowledging the potential contribution of reformist movements from within the economic institutions to the enhancement of the social good. Arjaliès, D.-L., & Mundy, J. (2013). The use of management control systems to formulate and implement CSR strategy: A levers of control perspective. Management Accounting Research. Available on line http://dx.doi.org/10.1016/j.mar.2013.06.003. Rivoalan, S., & Louvel, Y. (2010). Investissement Socialement Responsable: l’heure du tri. http://www.amisdelaterre.org/IMG/pdf/Rapport_ISR-2.pdf.